Aerial view of the beach of Chryssi Akti. 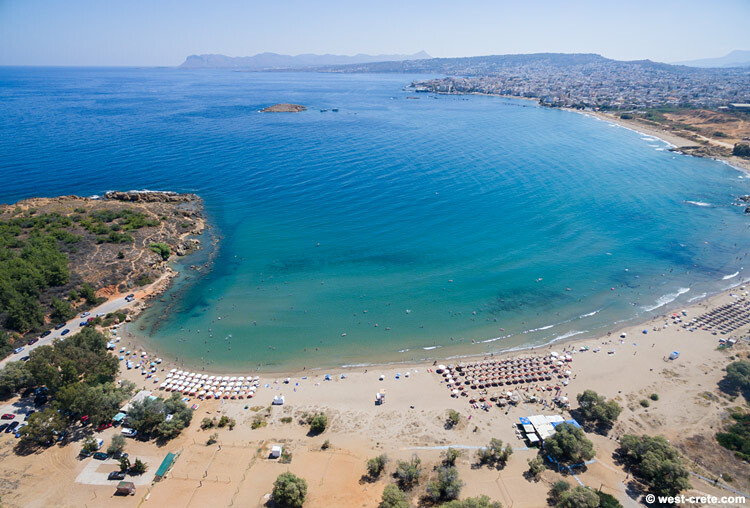 You can clearly see in the photo how close the beach is to the city of Chania. In fact you can walk to it from the town following the coast in no more than 20 to 30 minutes.